Other Dimensions: Maximum hanging height can reach up to 150 inches. Royal-cut crystals cascade like a sparkling waterfall. Product Description Grand Ballroom. The Regency chandelier emits a warm glow from golden teak crystals that will elevate the design of any room. Brimming with sparkling strands, this chandelier is encapsulated in a circular frame with a contrasting matte mocha finish. Customer assembly required. 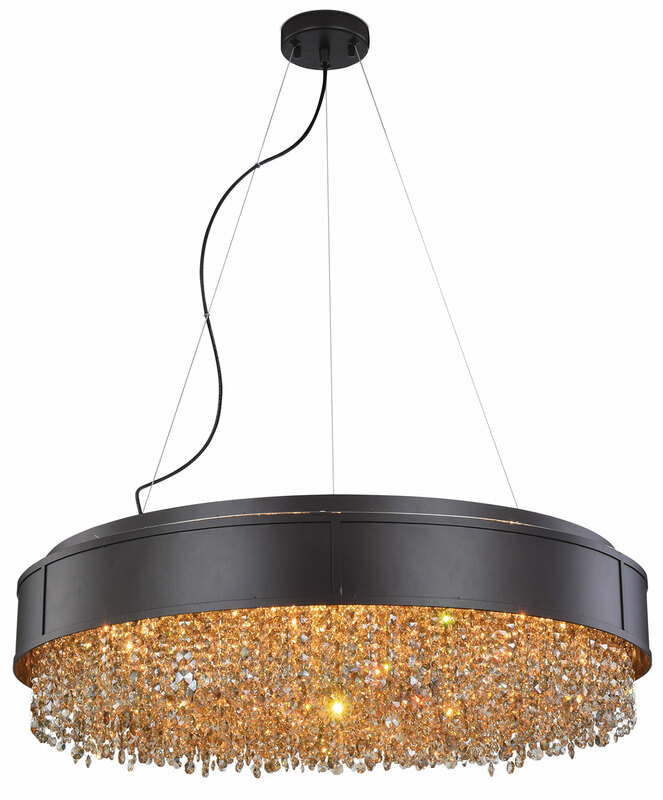 Unique Features: Chandelier can be installed as a hanging fixture or flush mount. Requires 9 light bulbs, as they are not included. Golden teak crystal strands emanate warmth. The round metal frame features a contrasting matte mocha finish. Construction: Metal frame ensures structural durability.